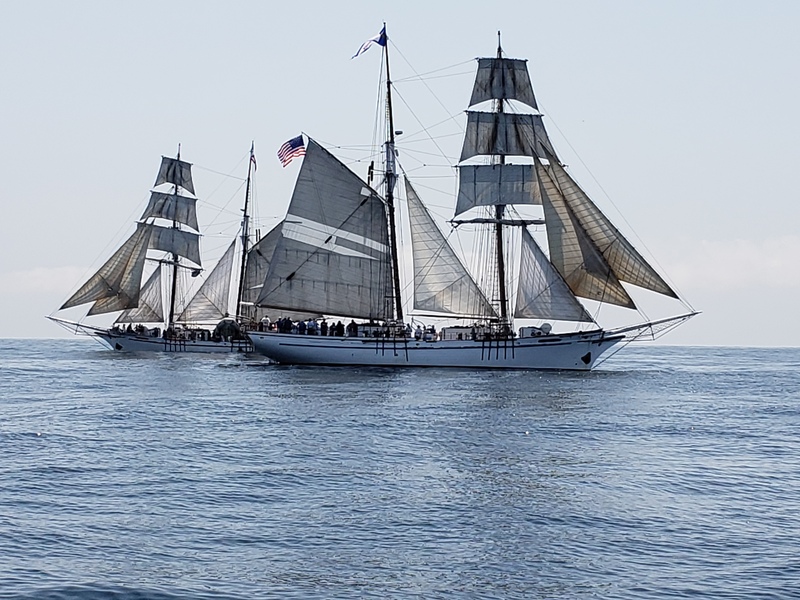 The tall ships of the LA Maritime Institute, Exy Johnson and Irving Johnson, were in full sail and fully loaded as the ashes of LAMI founder Jim Gladson were distributed at sea, on Sunday, August 12. The cannons fired, carnations were thrown, and later at the Celebration of Life memorial more than 150 community residents, former students of Jim Gladson, family, Area D alternative school and long-time LAMI supporters honored his life and the traditions and mission that he developed to create the Los Angeles Maritime Institute and its tall ships. It was a fitting tribute to a man and his vision for giving hope and direction to young people. The day began with the flotilla of LAMI’s two tall ships, the twin brigantines, Irving Johnson and Exy Johnson, other small craft Cabrillo Beach Yacht Club committee boat and the City2Sea Streamliner heading out to sea from the San Pedro harbor and Ports O’Call. The memorial meeting, chaired by Jim’s son Richard, included at least 30 veteran sailors, volunteers, shipmates and former students who sailed with Jim on his ships, including his sails up and down the Pacific Coast and to the Galapagos. Speakers reminisced about the founding of the “alternative school” on board in 1973 to the most current successes of LAMI in taking out more than 6,000 youth in this past year on the tall ships for science and math engagement, leadership development and recreational activities. 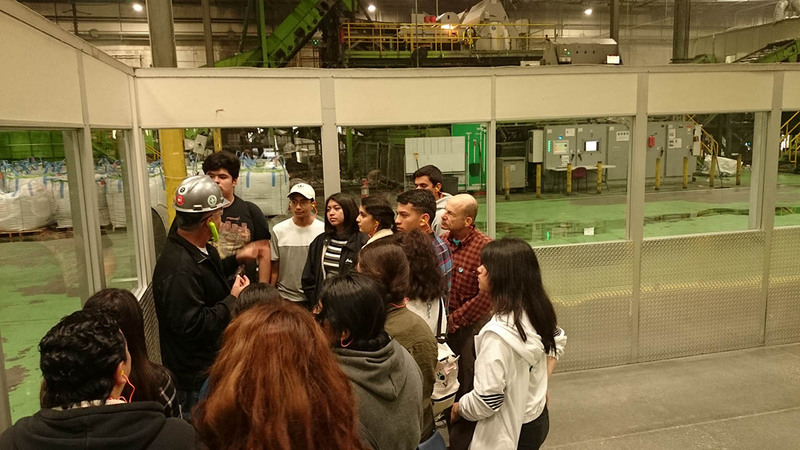 Almost all of these were disadvantaged youth who came aboard thanks to the support of the Port of Los Angeles, and other sponsorships. In 1993 Jim and volunteers began sailing the Swift of Ipswich. LAMI then built and launched the twin brigantines, Exy Johnson and Irving Johnson, in the port of LA under Jim’s leadership. 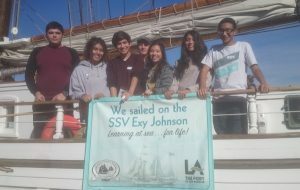 The vessels were designated as the Official Tall Ships and Maritime Ambassadors of the City of LA. Former teacher Elizabeth Neat, explained how Jim taught responsibility to youth, that youth had to work out their own issues in student centered education and activities. In a special issue of Random Lengths, the harbor independent newspaper, celebrating the 2005 Tall Ships LA Festival and the Los Angeles Maritime Institute, Jim and the Institute were featured throughout. Random Lengths and LAMI urges the public to continue this legacy. Please visit the website (www.lamitopsail.org/activity/Jim-Gladson) and consider supporting and volunteering to re-furbish the Swift of Ipswich or be volunteer crew to work with youth on-board. 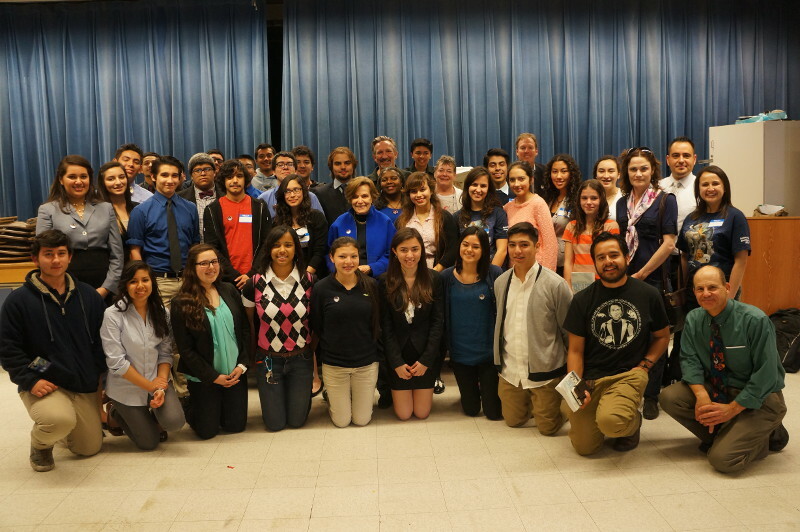 More than 50 youth from the South Bay attended the Algalita Innovation Forum on the weekend of Aug. 3 featuring youth-developed innovations to reduce ocean plastic pollution. The three-day conference featured panel discussions and presentations about the latest commercial innovations as substitutes for plastic bottles, straws, bags and fishing nets (into skateboards). The teenage participants worked on innovations of their own and short video presentations. Algalita bridges real-world science with real-time solutions to inspire teachers and students to find their place within the movement to combat plastic pollution, primarily through educating, and equipping local and global influencers to prevent plastic pollution. Students like Los Angeles Maritime Institute Marine youth crew member Marlen Bautista, of the bilingual the Explora la Costa program exuded excitement about the future in combating plastic pollution. Algalita’s chief youth officer, Anushka Bhaskar, said she came away from the forum feeling renewed and inspired. 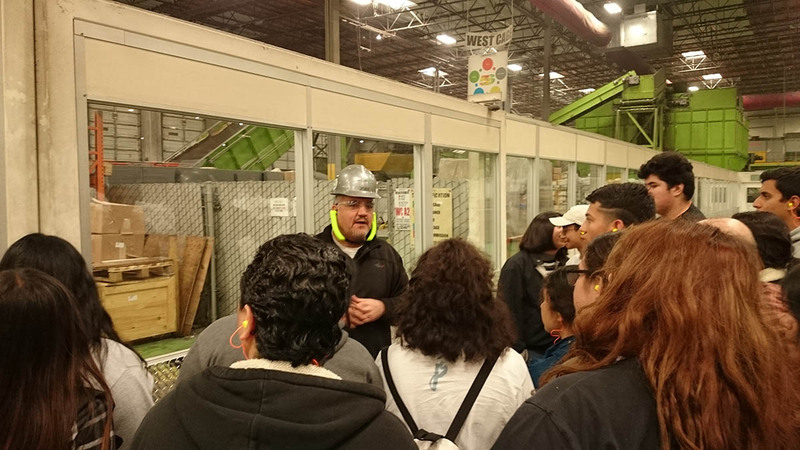 Over three days, youth heard presentations about the latest cutting-edge commercial innovations as substitutes for plastic bottles, straws, bags, fishing nets (into skateboards), etc. Algalita Education Director Anika Ballent was pleased with the outcome of the forum. They left the conference inspired to go back to their organizations and schools to educate their peers and advance conservation measures to reduce ocean plastic pollution. Some of these youth will be participating in next year’s Algalita POPS Forum and helping to lead and organize the international youth conference on marine science and ocean plastic and microplastic pollution in China, August 2019. Visit www.algalita.org for teacher and youth resources. Two Animo HS students, Briceida Montes and Melissa Zepeda, educators on the LAMI & Coastal Conservancy sponsored Explore the Coast sails have been educating scores of middle and high school students on microplastics. 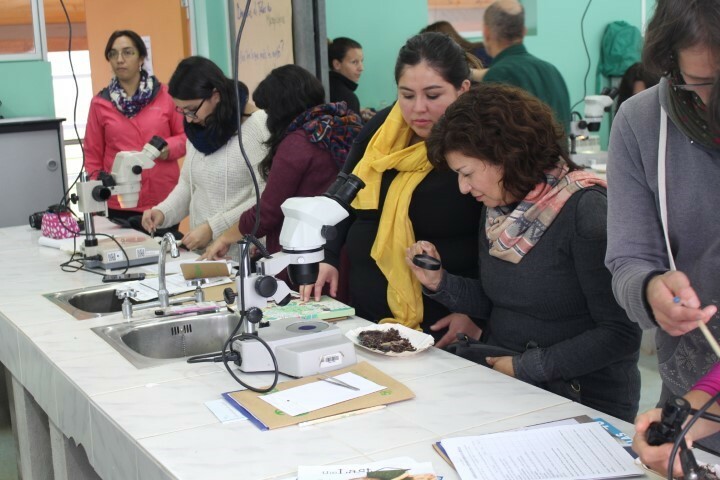 Teachers workshop will advance microplastic education and reduce ocean plastic pollution. Research done from aboard LAMI tall ships is featured in their studies and PPT presentations. They are joined by LAMI science educator Mark Friedman, also a mentor of their HS marine Biology/environmental club. 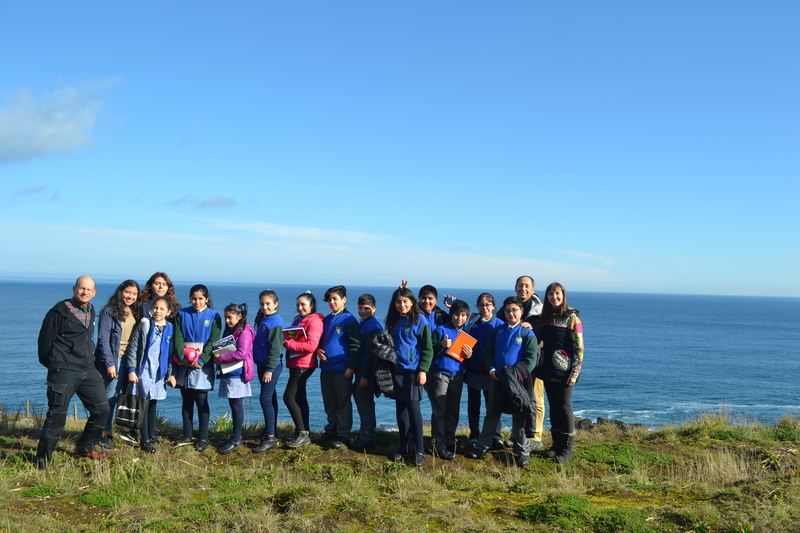 Professors and teachers had the opportunity to be part of the Workshop “Microplásticos: the oceanic trip of garbage”, in the Coastal Laboratory of Aquatic Resources Calfuco just outside of Valdivia, Chile. The workshops were led by Mark Friedman, science teacher at the LA Maritime Institute, former science teacher at the Animo High School in Los Angeles California and mentor of the Marine Biology Club of the same school and two Animo students This training, which ended on Friday, May 11, was the end of a cycle of activities related to the care of the oceans and their environmental protection. 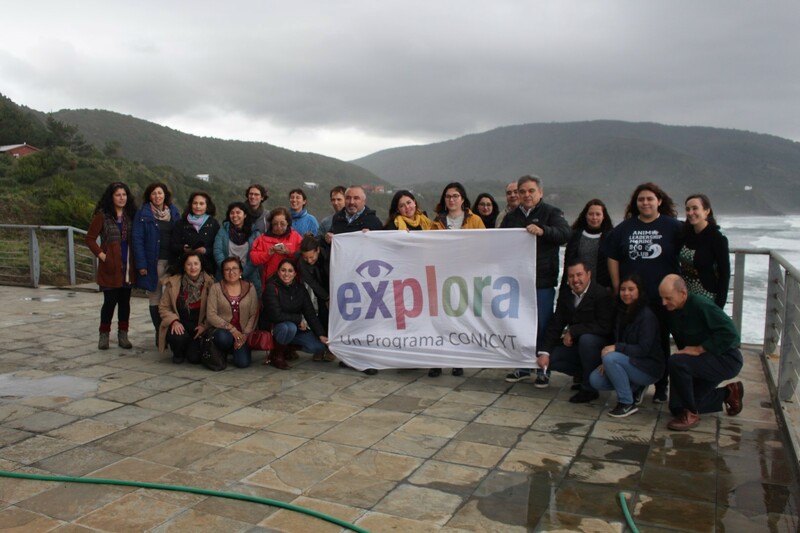 The PAR Explora of CONICYT Los Ríos, joined this final initiative aimed at teachers in the area of science, with the aim of providing methodological tools to stimulate students in scientific research. In addition to motivating them to care for the environment, especially that of the oceans and the entire ecosystem that it comprises. 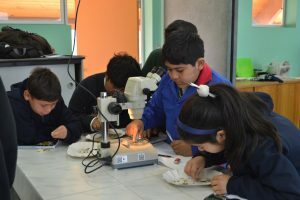 All this was possible thanks to a scholarship given by the United States Embassy to the Faculty of Sciences of the Austral University of Chile, who with it managed to invite the Los Angeles residents to teach students and teachers about the consequences of throwing plastic waste at schools and home that end up in the ocean. Coordinating this effort in Chile were Carla Christie and Paula Marin. The workshops were also guided by the students, members of the Marine Biology Club of Animo High School, Briceida Montes and Melissa Zepeda, who mentioned the great experience he has lived these days and how surprised he is to see the interest of schoolchildren and teachers to participate in the activities. 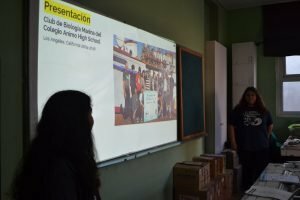 “Many of them were amazed to see that the plastic was a problem in the world, and the teachers showed a lot of interest in us, they were very focused, they were like students and that is not seen much in the teachers”. The educational activities began on Monday, May 7 to elementary and middle school students of various educational establishments. 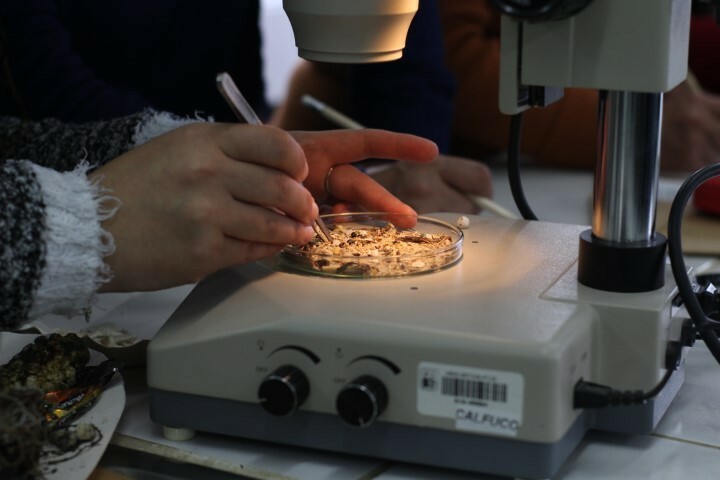 in the Valdivia region, teaching on microplastic pollution and their research, with the aim of galvanizing new recycling programs and greater consciousness of the plastic impact on marine organisms and humans thru ingestion of marine shellfish and fish. Support for this educational effort also came from the US with a grant from LA Supervisor Janice Hahn and materials supplied for the workshops from Algalita, Ocean Conservancy, 5Gyres, LA Maritime Institute, HHMI Medical Institute Winged Ambassadors and City2Sea. Photos and article by Mark Friedman. A reminder that the Celebration of the Sea 2018 will take place at the Port Royal Marina and Yacht club on May 26, 2018, starting at 3 p.m. Click here for the flyer. This event is a fundraiser for the Animo Marine Biology Club. 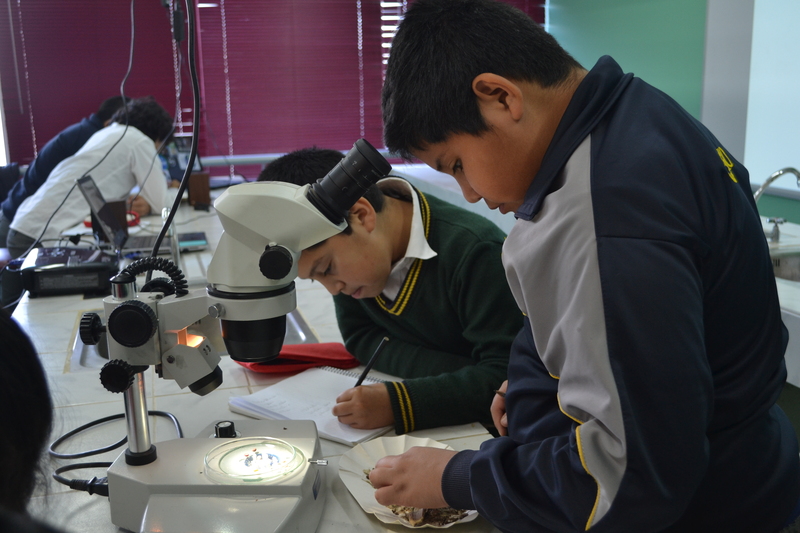 Many in the Marine Biology Club go on to study marine science and become our future Ocean scientists. 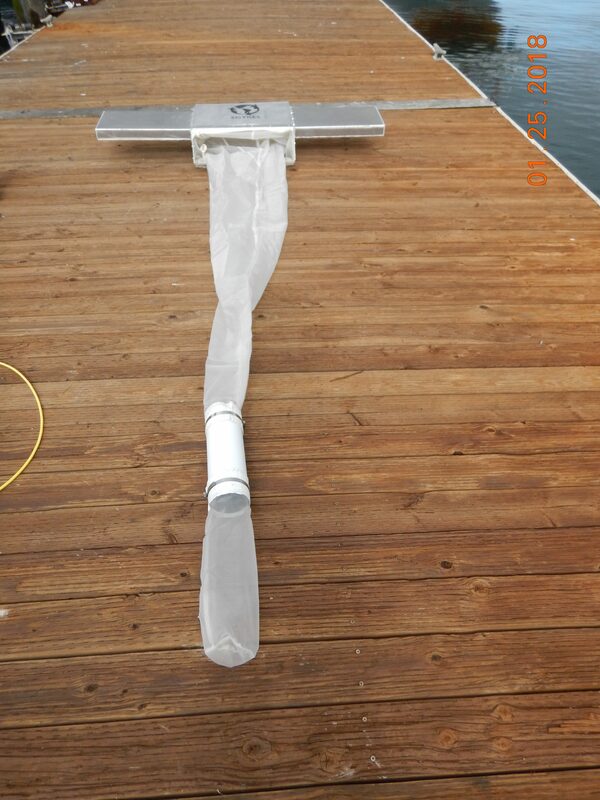 You may view a short video of the Marine Biology club in action by clicking here. This year we hope to help fund 25 inner-city students for a trip to Montana del Oro Tidepools, Monterey Bay Aquarium, Monterey Bay Area Research Institute, Elk Horn Slough, Kayaking, Camping and Ed Ricketts Museum. 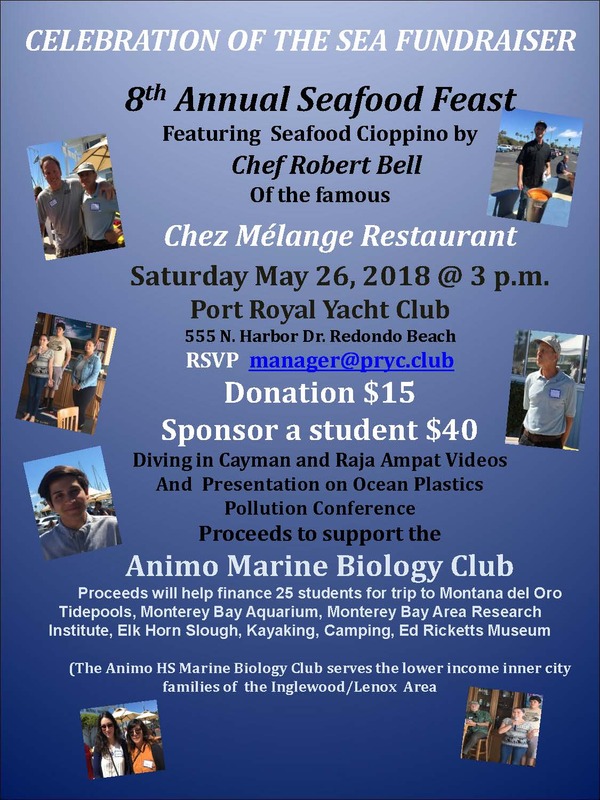 Not only that, but we will once again be serving seafood Cioppino prepared by one of the best chefs in the South Bay (Robert Bell from Chez Mélange Restaurant), Lobster donated by our own Port Royal lobster divers (Lobsterdon and Urchin Cathy). Also, a program featuring underwater videos and students Briceida and Melissa from the club who will have just returned with Mark Friedman from a Microplastics conference in Chile. This will be our 8th year of doing this and we have raised thousands of dollars for this cause. It is really a grassroots effort and many in the Yacht Club and supporters have donated time and food to compliment Robert’s outstanding Cioppino. We can be proud as a club for what we have done in the past. If you would like to help this year, please let me know. At this point, we could use some help on set up and take down, club bartenders, and could use some food donations (appetizers, French bread, salads, side dishes). As always, if you would not like to receive these e-mails, simply reply to this e-mail with REMOVE in the title. Thanks, and looking forward to another fun and worthwhile event again this year.